I am excited to get a new iPhone again. The 5s has been my favorite device for a long time now. The 6 and 6+ were, for me, just bigger phones and I am not into that size matters thing. 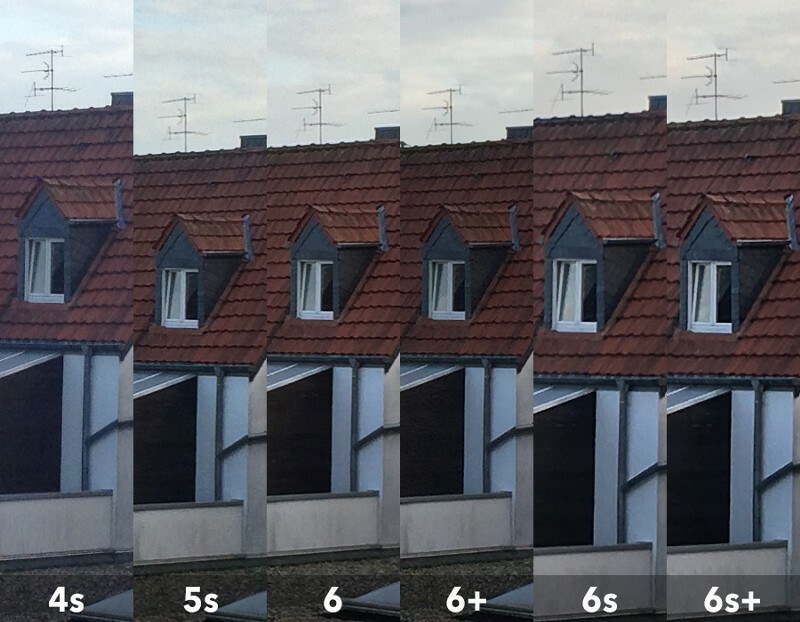 The geek and photographer inside of me needed to know if the 6s and 6s+ camera update is really worth the upgrade. So, I decided to make a quick and easy first test pointing all my devices onto a little scenery I prepared the other day. 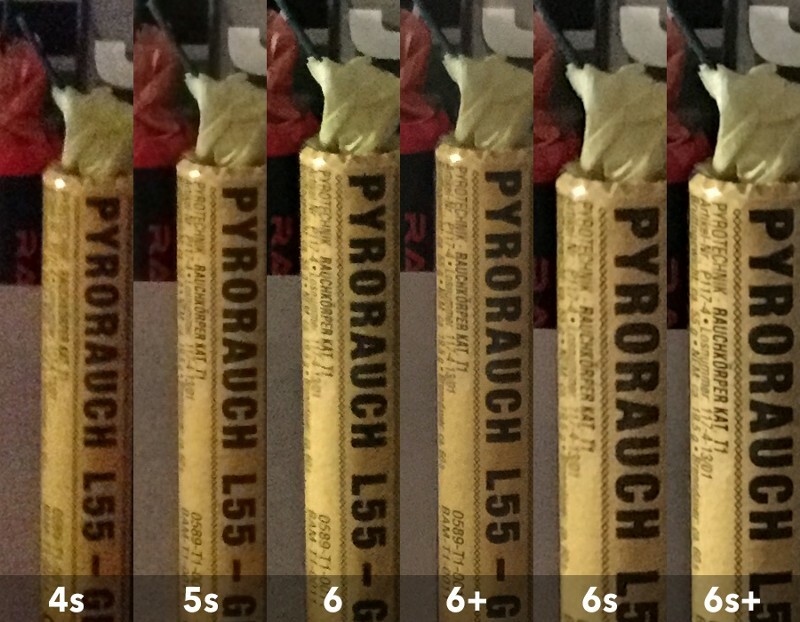 Please note, this is the very first time I have made a camera comparison. I shot all images handheld in a reasonably pace and let the iPhones do all the metering. I didn't use a tripod because I wanted the test to feel more like a spontaneous shooting. I could have used a camera app with manual controls, but I decided the auto-mode is the most important one to me and because I do think that these apps are a waste of time in combination with mobile photography (for now). You can download all original files through the link at the foot of this article. A big quality improvement from the 4s to the 5s - the 6s and 6s+ megapixel boost is already a small plus. The 4s is out, but the 5s is still keeping up with the newer ones. The 6+ and 6s+ seam to benefit from their stronger processor and handle the upcoming noise slightly better then their predecessors - Hova knows. 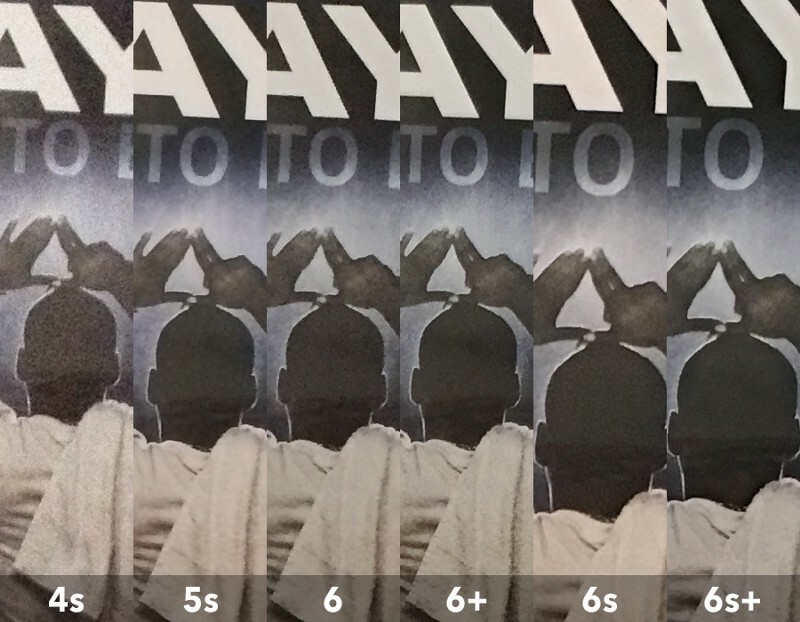 The 5s is showing big artifacts and noise blocks. In general all devices started struggling at the low light performance and delivered different results. 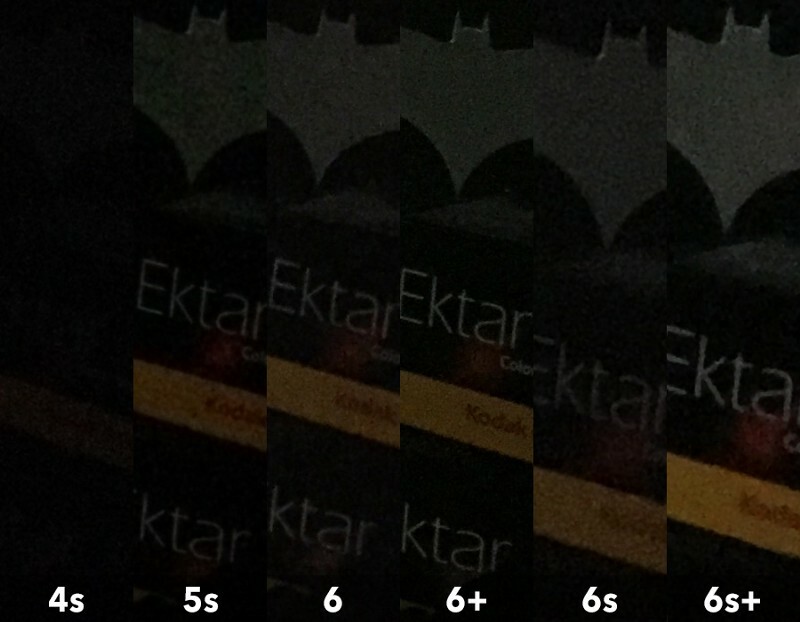 It seams like the phones do have big problems with a steady performance when it gets darker. I got confused that the 6+ image came out significantly better than the 6 one, even though I took multiple shots with each phone. The 6+ can easily keep up with the 6s and 6s+ at this stage - all three devices have a decent noise cancellation. Again the “+” phones are winning the comparison. At this point I got the very first “oha” moment. The 6s+ really boosted up the brightness, but it’s noise cancellation algorithms killed all the details. The 6+ may capture a slightly darker image, that’s something you can change in post, but the detail-difference is huge. To be honest, I did not expect the 6-series to out-perform the 5s that much. After seeing this I don’t think I will be able to stick to my beloved perfect-sized 5s. The 6+ image came out a little bit darker, but I have been shooting without a tripod and it did as good as the other ones. The 6s+ wins this one, not as much as expected, but details and dynamic range are a tiny bit better with the 6s and 6s+,a bit. For this test I forced the devices to shoot in HDR ON mode. At bright daylight Apple’s new phones do show their real benefits. The 6s and 6s+ images are slightly more detailed and do handle bright whites with a marginally better dynamic range. After Apple’s keynote I really expected a huge image quality improvement, but as hard as I tried, I could not really see it. Yes, more megapixels are the biggest deal here, I haven’t shot any portraits yet, the images you get are somewhat warmer and the processor seams to handle noise a bit better. 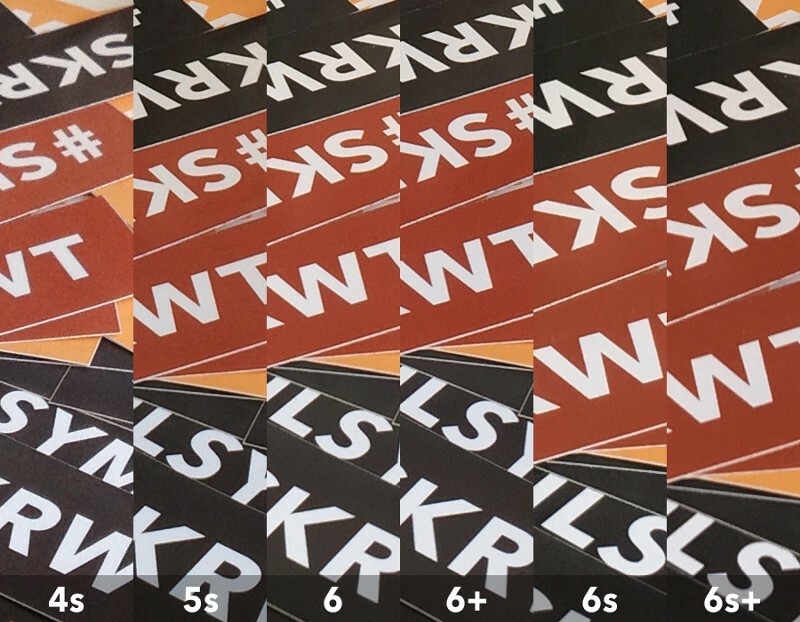 The new front-camera is something worth talking about: by boosting it to 5mpx I can see many people placing their phones on the ground and shooting some nice lookups - it's so much better! The biggest surprise has been the 6+, I never believed when people said, that it is taking better images than the regular 6 one,now I do. There is a Galaxy S5 on my desk, but the images were so horrible, that I did not even bother to include them into this article. I wish I had a S6 though - its camera looks really nice, even though the dynamic range processing can’t keep up with the iPhone’s and the lens is noticeably wider.